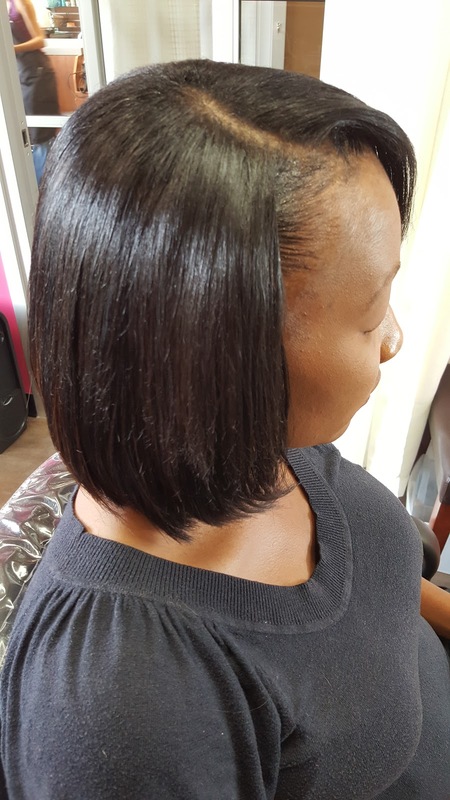 With more and more women looking for protective hairstyles for their hair, sew-ins have become even more popular than once before. 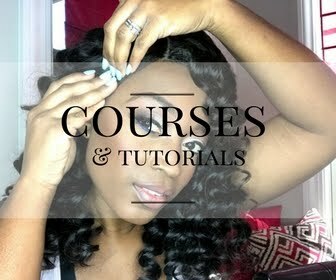 Sew-ins are great protective styles that allow your hair to rest and take a break from its normal day to day activities. 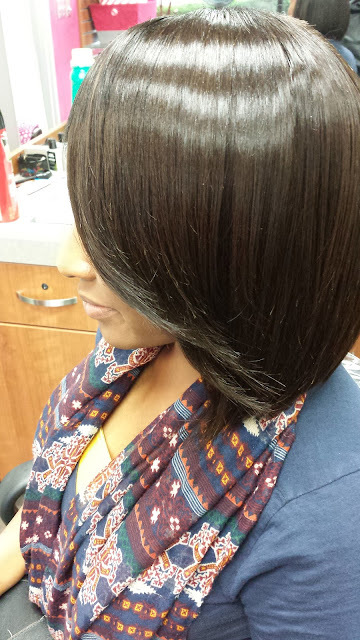 As the demand for sew-ins increases, so does the demand for high quality hair. shampooed her hair. Once I rinsed the conditioner out, sat her up from the bowl and began to comb and detangle the wet hair, it became a total disaster. The hair had tangled up into a huge ball resembling tumbleweed! I could not untangle it for the life of me. Even Silk Hydration by L. Jones couldn't get the tangles out. I eventually had to cut her weave out and style her real hair. 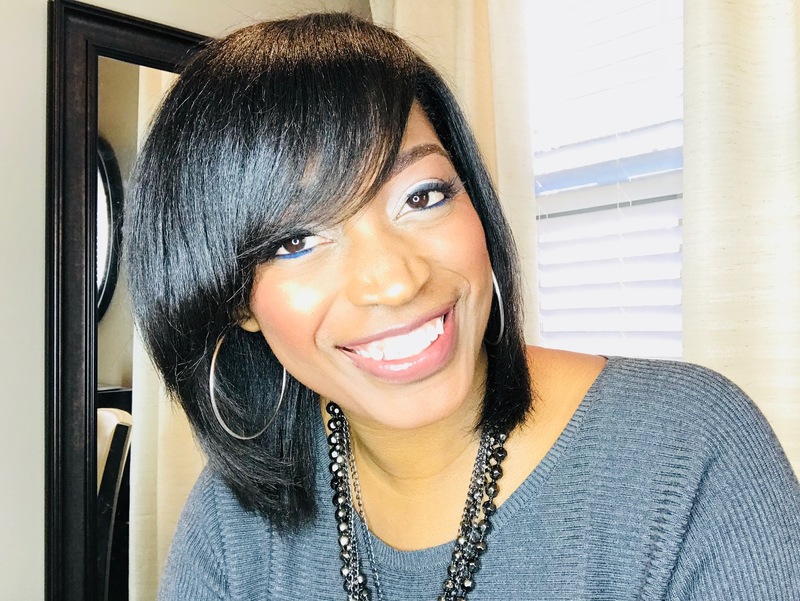 To never have that situation happen to me again, I started L. Jones Hair Collection which has the highest quality hair that is available on the market. All of my clients that get sew-ins never again have to ask me what kind of hair to get. The hair in L. Jones Hair Collection does not tangle or shed and can last up to one year with proper care. Hair bought at the beauty supply store mostly can only be used once and if you try to shampoo it, it will tangle very badly (which was my experience). 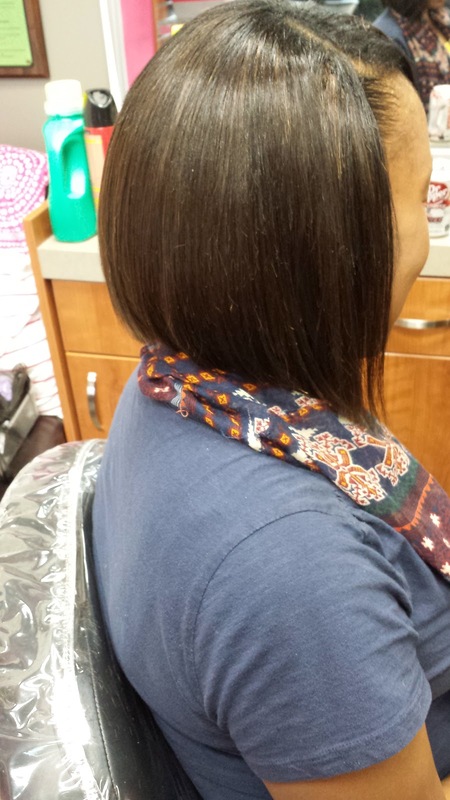 The client featured in this post has a sew-in done by me with hair from the L. Jones Hair Collection. 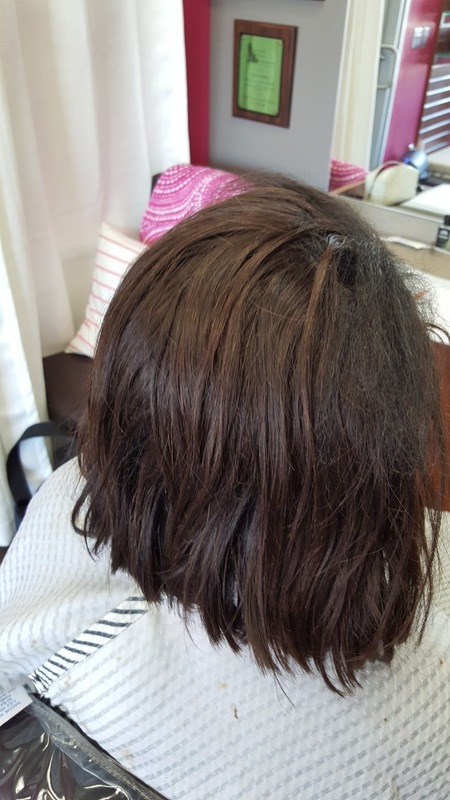 The first three pictures show the first time she got the hair installed which was in May 2015. 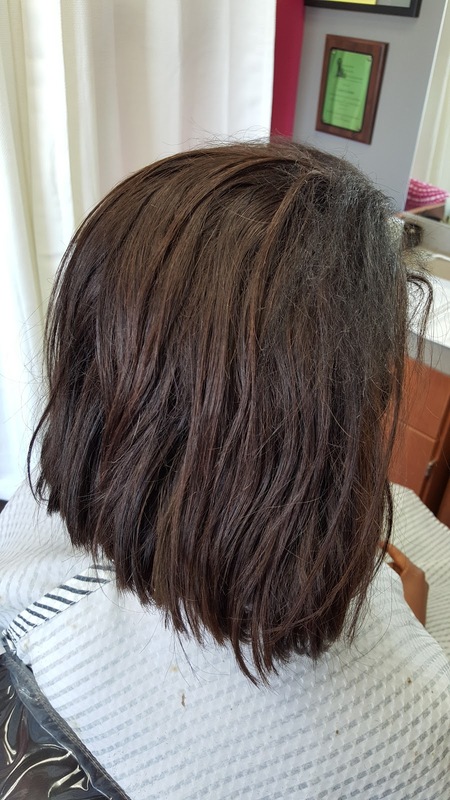 The picture above an right below is the same client, with the same hair, who has come in to get it taken down, colored, shampooed, and conditioned. We colored it so the extension hair can match he real hair more. 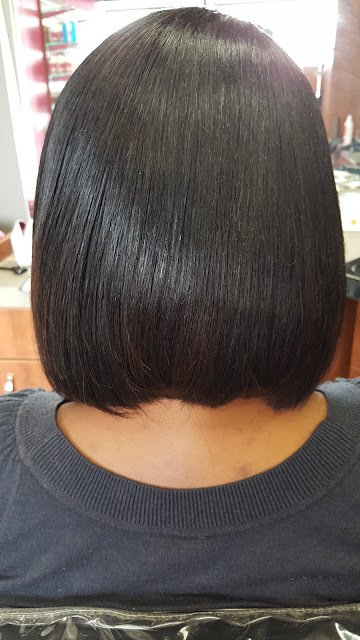 After the hair was colored and prepped (shampooed and conditioned), I re-installed the same hair on the same client. The pictures below are the after pictures from the second install. The client liked the second time around more because since it was colored, it looks more like her natural hair. 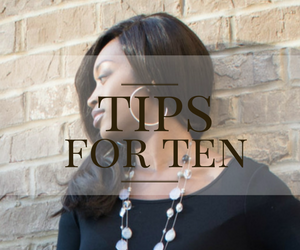 When choosing the best hair for your sew-in, it is critically important to get hair that has high quality. What I mean by this is that the hair is 100% virgin, human hair. This means the hair has never had any chemicals in whatsoever. Also, the hair should feel good to the touch, not tangle, and not shed. And once installed, no one but your closest friends and others that may personally know you should be able to tell that it is not your hair. This was this client's second time ever getting a sew-in. 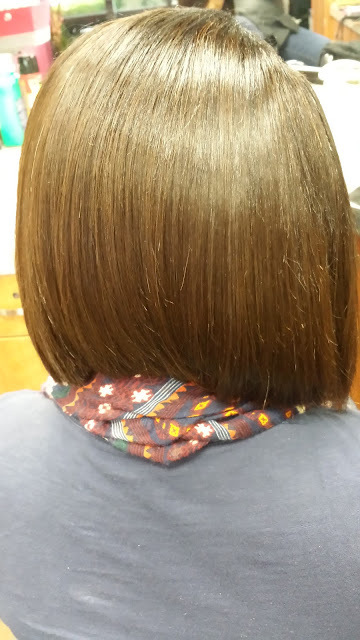 I also did her first one and she loves the natural look it gives on top of the fact that it is easy to maintain as well. And she absolutely loves the fact that she can still get another use out of the same hair. She keeps her sew-ins up for three month periods at a time so at the end of her third sew-in, this hair will have lasted NINE months! I even wear the hair myself. Well, the truth is that I always try my own brands out on myself before I even think about selling it to anyone. Nevertheless I love it and my clients are quite pleased themselves. 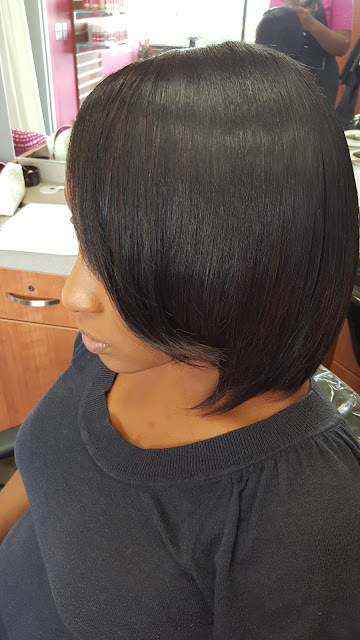 Are you ready to choose some hair for your next sew in? 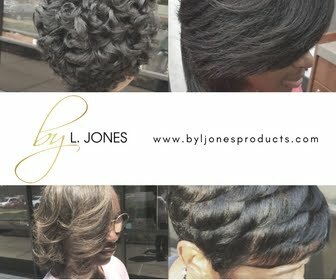 Head to www.ljoneshaircollection.com choose the best hair for your next sew in!